At the Storage Type step of the wizard, select the storage type. Select VNX (block) to add a Dell EMC VNX block storage system working over iSCSI or Fibre Channel. Select VNX (file) to add a Dell EMC VNX file storage system working over NFS. Select VNXe to add a Dell EMC VNXe storage system. 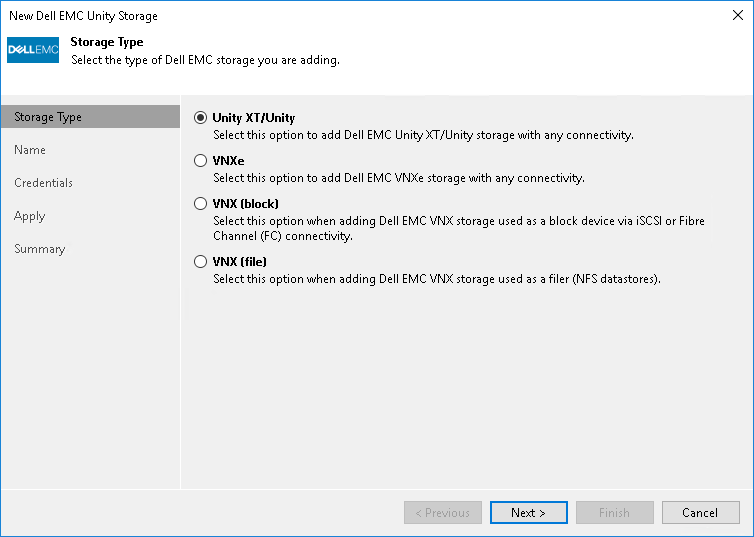 Select Unity to add a Dell EMC Unity storage system.